Effective February 21, 2019, the New Madrid County Health Department took on the major public health issue of tobacco use by implementing a tobacco-free environment policy on the health department property located at 406 US Highway 61 in New Madrid. The tobacco ban will apply to all employees, clients, visitors, contractors, and vendors. Our tobacco-free policy will prohibit the use of tobacco of any kind on our property, including within our buildings and on our grounds. NMCHD will not ask employees and clients to stop using tobacco; however, we are requiring them to refrain from tobacco use on our property. To assist with this, NMCHD is providing resources for employees and clients to support tobacco cessation or symptom management. 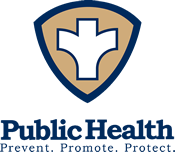 As an organization committed to public health and safety, NMCHD’s primary mission is to protect the health of those in our community, while promoting a culture of health, implementing a tobacco-free policy expresses this commitment and is a positive step towards eliminating the use of tobacco in our community. Do you need a pap smear, breast exam, or birth control? The New Madrid County Health Department offers a confidential monthly women's clinic for those who are in need of these services. Free mammograms for those who qualify through the Show Me Healthy Women Program. For more information, call us at 573-748-5541. At New Madrid Co Health we understand the power of importance of having a strong healthy family unit. We are here to help..
Find the latest sercives & offerings for women & children of our county. Whether you need birth or death certificates find out how here. Find out where and when your child can be protected.